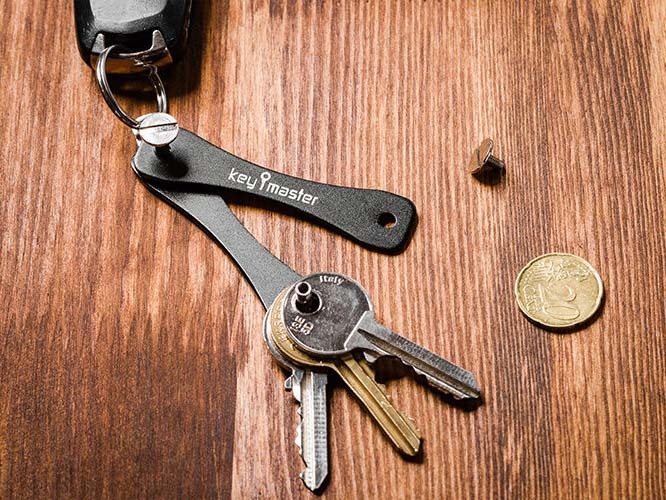 The compact key chain alternative! 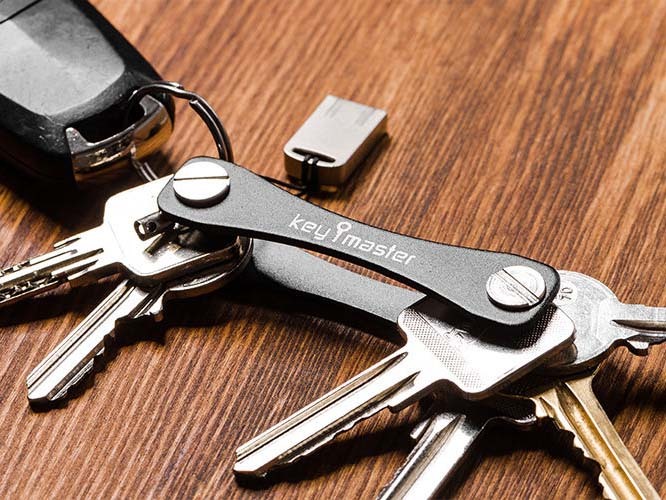 If you can't see your key chain for all the keys anymore, it's time to get this perfect gadget! 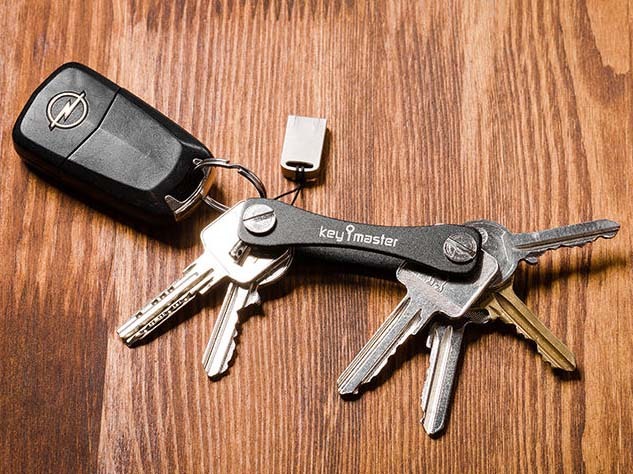 Gone are the days of pockets full of keys and confusion! No more holes in your jacket or your purse! No more endless searches for the right key! 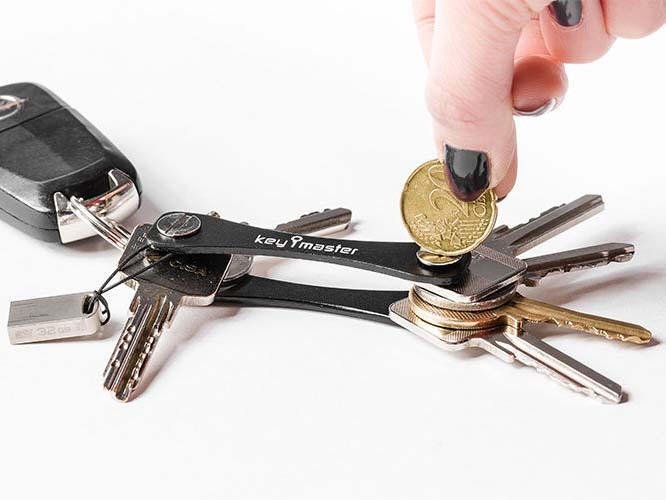 The KeyMaster key holder works by application of the Swiss-knife principle: all keys are neatly folded into the KeyMaster body and you only take out the one you need. Little spacers keep the keys apart. It's super easy to change the order of keys or exchange one for another. 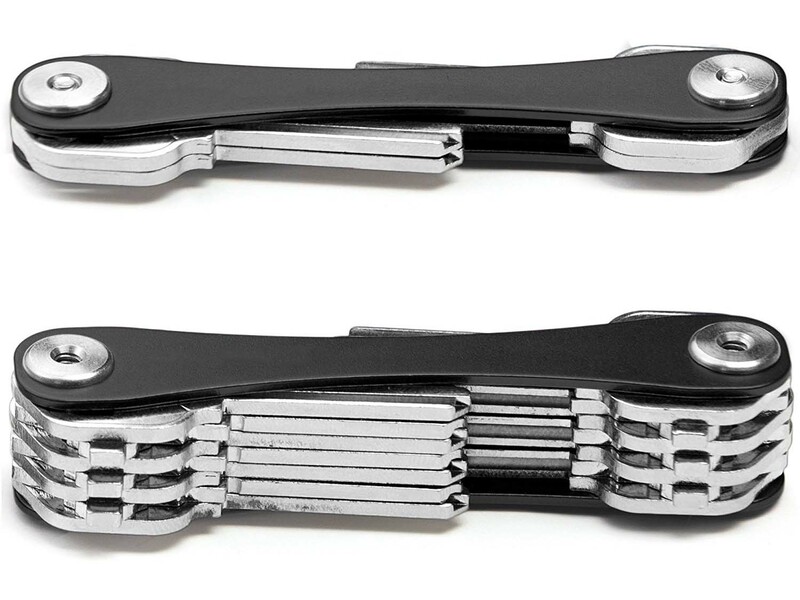 Use a screwdriver to twist the KeyMaster open and close it up again. Why wait: create order in your key chaos today.